"My iPod touch stuck in recovery mode when I planned to update the iOS. I've tried many ways except for restore, because I don't want to lose my photo and video on it. Does anyone experience this? Please tell me how you've fixed it. Thanks a lot." The way used most to fix this issue (iPod touch stuck in recovery mode) is to restore your iPod touch with iTunes, which can really bring your iPod touch back to normal, but the cost is giving up all data stored on your iPod touch. If you don't care about the data, you can adopt this solution. If you want to save your data, there is also another way. Before starting anything, you need to get a third-party tool that can let you do this effectively and safely. 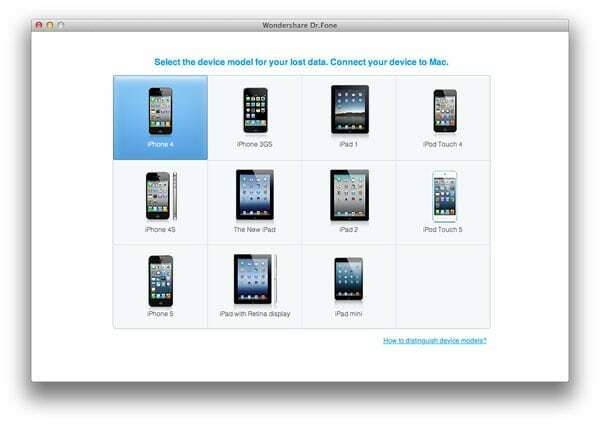 Wondershare Dr.Fone (Mac) or Wondershare Dr.Fone for iOS (Windows) can be a good option. Both of the programs allow you to fix the issue with one click, and you'll don't lose any data on your iPod touch. They work well with iPod touch 5 and iPod touch 4. Download and install the program on your computer, and then follow the steps below to get your issue done. 1. Connect your iPod touch 5/4 to the computer, and run the program. 2. When your iPod touch is detected, the progam will lead you to fix the problem with one click. Below is the window of Wondershare Dr.Fone (Mac). 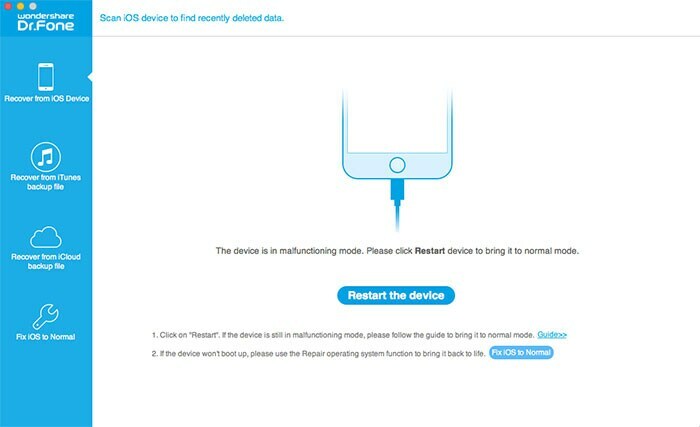 You can click Set Up to restart your iPod touch to normal. Below is the window of Wondershare Dr.Fone for iOS (Windows). Click Restart to get your iPod touch back to normal. Your problem has solved and it's quite easy. If you want to check what else the program can do for you. 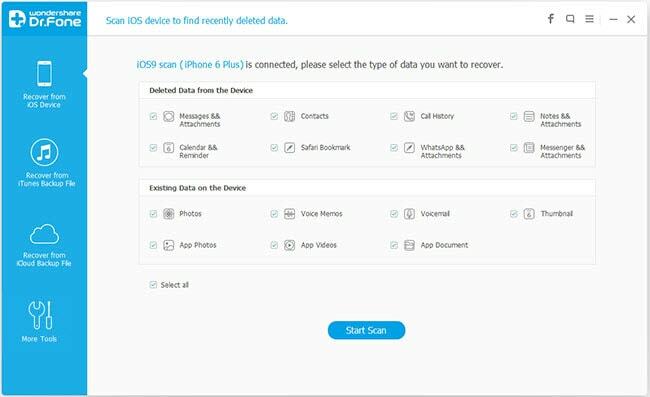 you can read the guide below to get the details about how to recover data from iPod touch in steps. 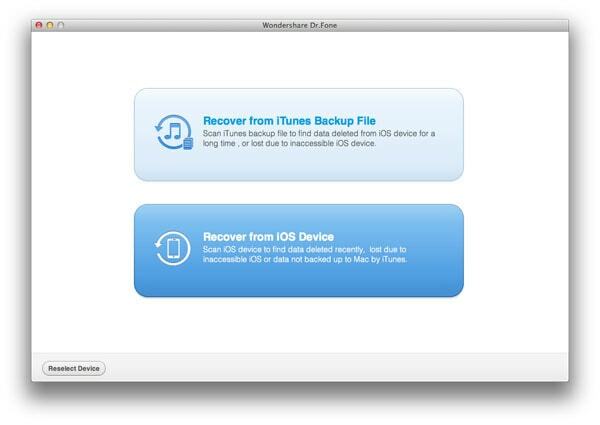 Here, let's check how to recover data from iPod touch with Wondershare Dr.Fone (Mac). If you're a Windows user, you can also take similar steps as follows. When your iPod touch is detected by the program, you'll see the window below. Choose the device model of yours. Then there are two kinds of recovery modes for your choice: Recover from iTunes Backup File and Recover from iOS Device. Let's try the later. If you use iPod touch 5, you'll see the window like below. 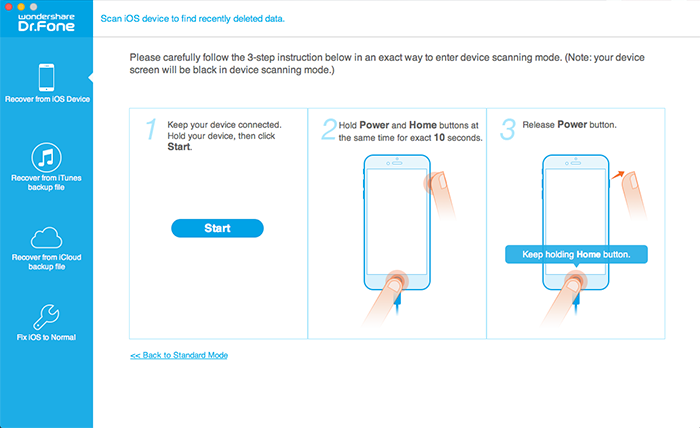 Click Start Scan to begin scanning your iPod touch 5. The scan will take you a little while. 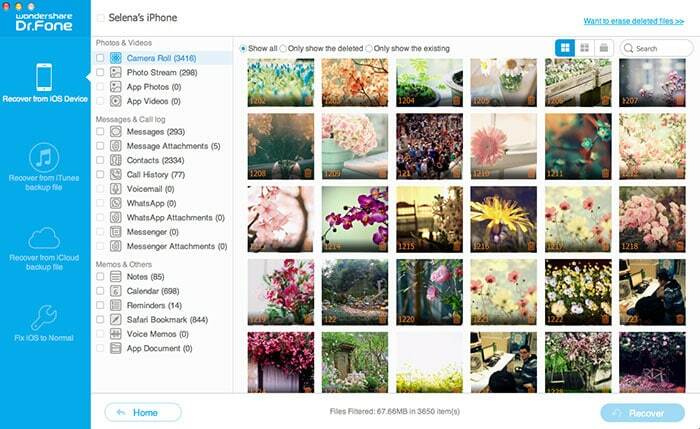 After it, you'll get a scan result where all found can be previewed like photos, contacts, messages, notes, etc. Choose what you want and click Recover. You can selectively save them on your computer with one click. Note: For iPod touch 4, you can recover camera roll, photo libray, photo stream, contacts, messages, notes, call log, reminders, calendars, voice memos and Safari bookmarks. For iPod touch 5, you can recover contacts, messages, notes, call log, reminders, calendars and Safari bookmarks.